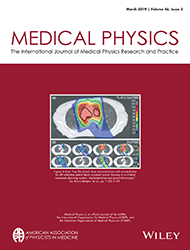 Medical Physics is the scientific journal of the American Association of Physicists in Medicine and is an official science journal of the Canadian Organization of Medical Physicists, the Canadian College of Physicists in Medicine, and the International Organization for Medical Physics (IOMP). It publishes research concerned with the application of physics and mathematics to the solution of problems in medicine and human biology. Manuscripts covering theoretical or experimental approaches are published. Learn about medical physics and what medical physicists do. More than 70 years after the initial proposition of particle therapy, hospital-based facilities equipped with state of the art technology are rapidly spreading over all the world. At this critical time of rapid expansion, it is crucial to address open challenges, identify areas where development is needed, and suggest possible solution paths in particle therapy, toward future full exploitation of the therapeutic gain promise for current and future radiotherapy indications. To this end, the special issue edited by K. Parodi (LMU, Munich) and J. Farr (Applications of Detectors and Accelerators to Medicine, Geneva) addresses challenges and prospects of particle therapy from the medical physics perspective in the three main areas of radiobiology, technology, and treatment uncertainties. Each of these overarching challenges, needs, and solution paths is addressed in depth in a series of contributions from internationally renowned authors, seeking for a good balance between more established and emerging scientists, with a good representation of particle therapy experience in the United States, Europe, and Asia. The special issue is especially intended to raise awareness of timely contemporary particle therapy topics and to provide many near and long-term suggestions to the Medical Physics readership for global improvement of the field of particle therapy. We are pleased to present you with Medical Physics Video Abstracts: summaries of recently published Medical Physics articles created by the articles' authors. If you are a Medical Physics author interested in submitting a video abstract to the journal, watch this link for submission guidelines coming soon. AAPM now offers access to Medical Physics Journal via iOS and Android apps. Adjustable text and table sizing with "pinch and zoom"
At the 2015 57th AAPM Annual Meeting & Exhibition, a Special 1 hour Workshop was held in Memory of our Journal Manager, Penny S. Slattery. Editor-in-Chief Jeff Williamson presented a talk on Vision for the Journal Medical Physics and Status of Current Initiatives, Therapy Physics Editor Shiva Das presented a talk on Improving Manuscript Quality via Structured Reviews, Enhanced Scientific Category Taxonomy, and Outreach, and Imaging Physics Editor Mitch Goodsitt presented a talk on Writing Good Scientific papers and Responding to Critiques. The power point slides for the presentation on Writing Good Scientific papers and Responding to Critiques are available here. A substantial audience turned out for the workshop, and the discussions that followed the PowerPoint presentations were lively and insightful. 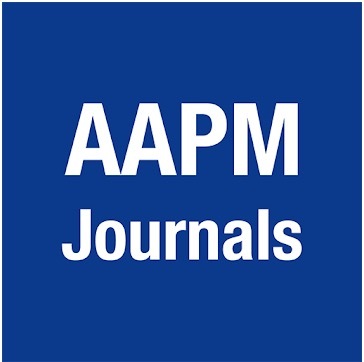 The audience’s response to the workshop was one more indication of the enthusiasm of AAPM members for their journal, and the interest of medical physicists in general in the expansion of Medical Physics into new areas of imaging and oncology, and in the growth of the journal as the leading publication in medical physics worldwide. Medical Physics accepts articles for Open Access publication for a fee of $2700 USD. Here is a list of Author Sponsored articles.